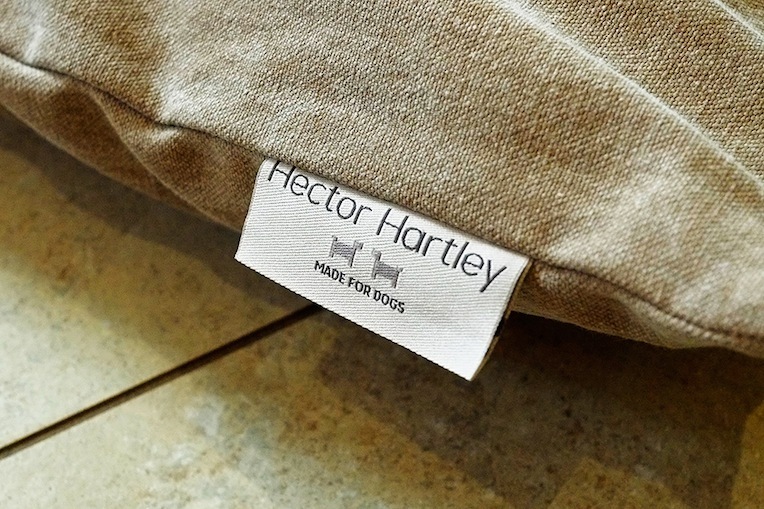 When we were off on holiday to a hotel in Dartmoor this summer, we were lucky enough to be sent a gorgeous Dog Duvet from dog bed company Hector Hartley. 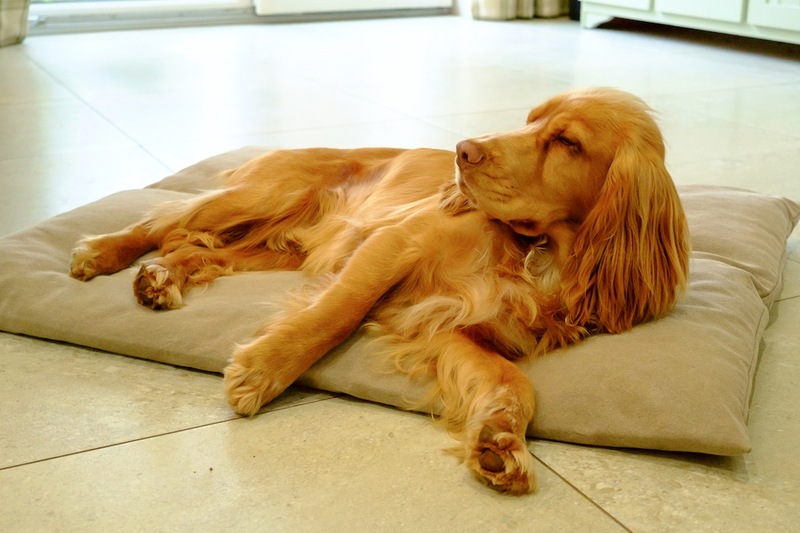 It’s ideal for travelling because – unlike a dog bed, you can easily roll or fold it up in the car boot and, when you get to your destination, it bounces back to shape immediately, ready for some doggy down-time. 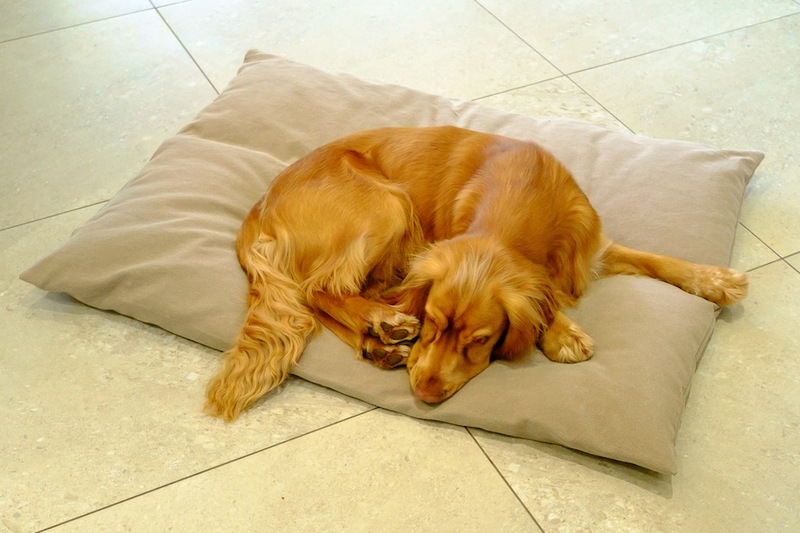 We introduced Barney to his new duvet at home in our kitchen the day before we left – wondering how he’d take to it…. I think the pictures below say it all really…..
mmm..let’s just lay my head down here…. An instant hit. Within minutes he was snoozing contentedly….. The duvet bed cover was made from a very durable stonewash cotton in a neutral Pebble colourway but they also come in Denim and Linen – and a host of tasteful natural colours. Both the cover and the duvet inside are machine washable. 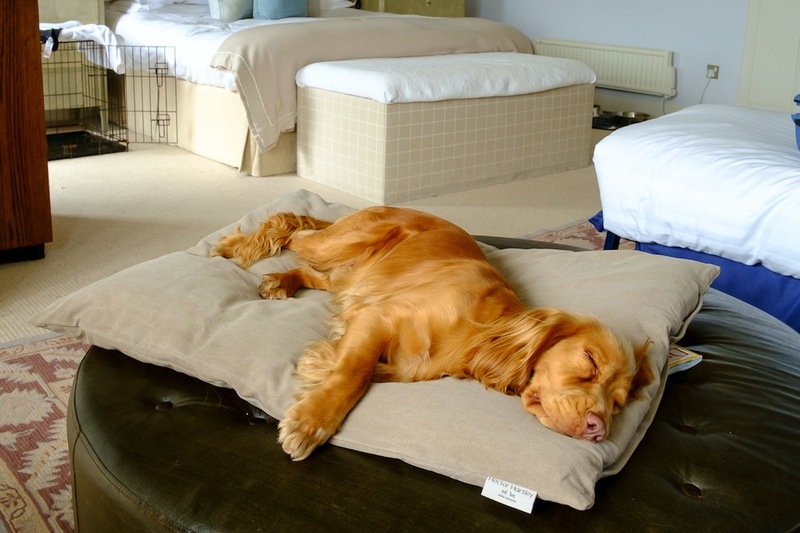 The beds come in three sizes : Small (72 x 56 cm approx): Suitable for toy and very small breeds. 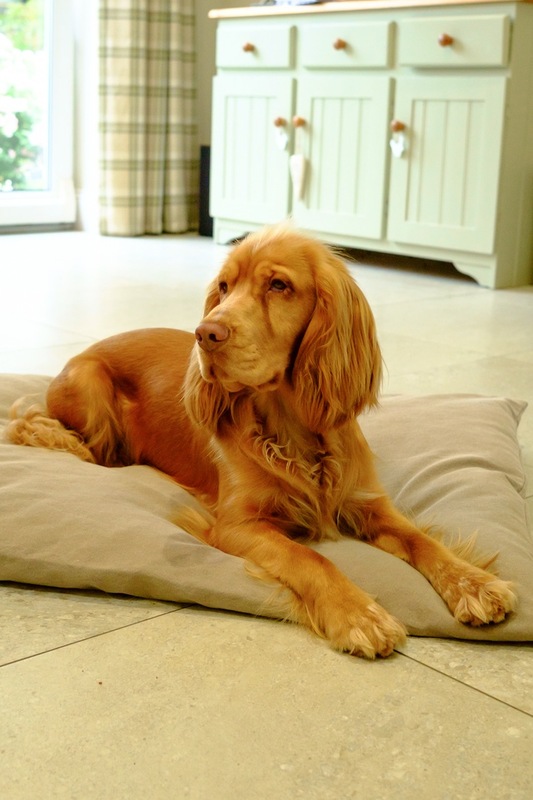 Medium (96 x 74 cm approx): Suitable for small to medium breeds like Barney – a Cocker Spaniel and Large (110 x 85 cm approx): Suitable for large breeds like Labradors and German Shepherds. 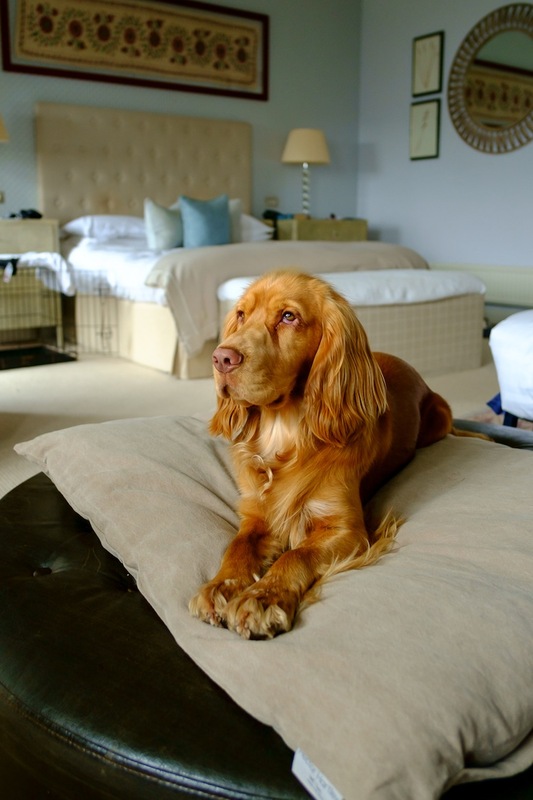 Here’s Barney completely comfy on his duvet in our hotel room….flaked out after all that moorland air and walkies. At home, Barney’s old blankets have been pawed to one side in favour of his new duvet – there’s no circling and scratching to make this into a comfy bed. It’s always plumped up, perfect and ready and waiting for nap-time.